Ford Executive Vice President Joe Hinrichs said at the Automotive News World Congress that aluminum would be reserved for the company’s trucks for now, according to Car and Driver. 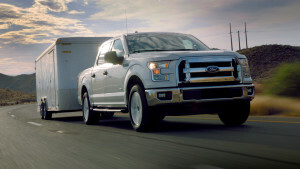 The reason is that there’s other ways to save gas in cars than the aluminum body route used in the new Ford F-150, the magazine reported. The aluminum Ford F-150 is a source of concern for the collision repair industry, which must obtain the expensive training and equipment to repair damage on the popular truck.